My eldest daughter needed a way to unwind after school today and I thought messy play would be a good way to do this. I had decided upon a new media for her to play with. I mixed 2 cups of corn flower to 1/2 cup of raspberry shampoo. This created a lovely soft dough. 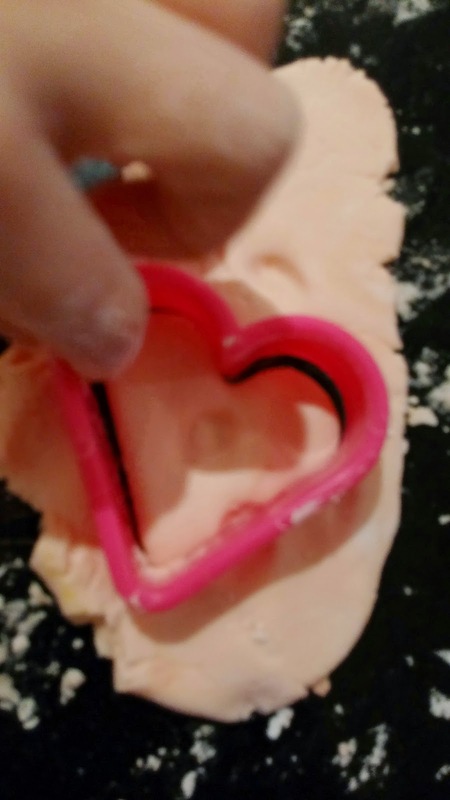 Although it wasn't like play dough it was much softer, it was similar to gloop when it solidifies and was so lovely to stretch and play with. The dough smelt amazing. It was great for my youngest just to have a bit of fun and unwind after school. 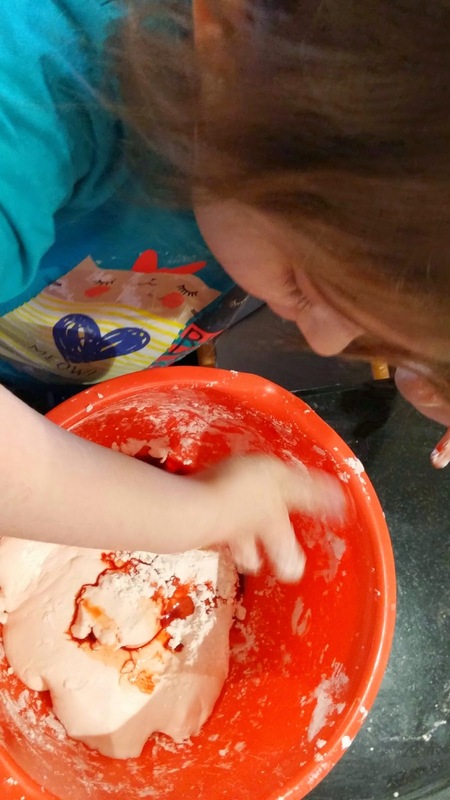 I pressed my hand into the dough and she loved placing her hand inside my hand print. This would make a perfect activity for Valentines day too. 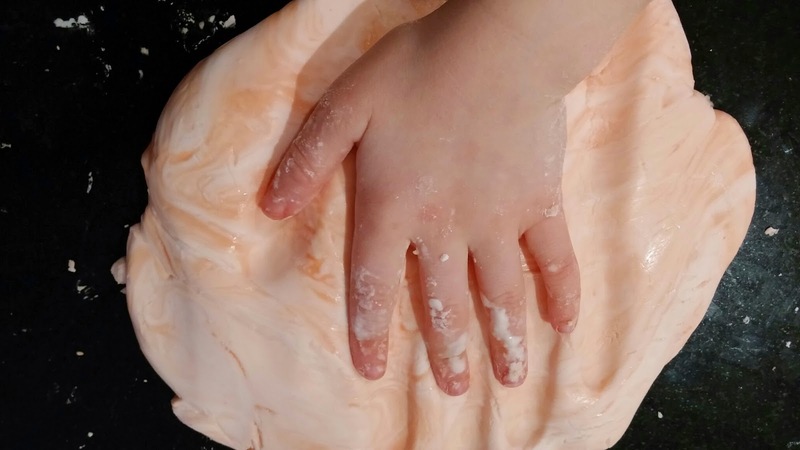 With the pink dough and raspberry scent, a beautiful messy play idea. Oh how fun! My kid's play dough dried up recently, this would be fun to make!